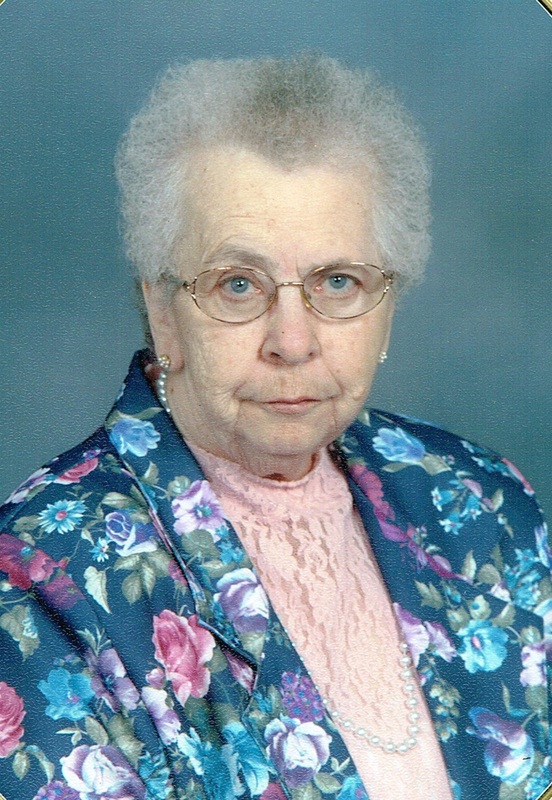 Margaret Mary (Kerkhove) Hanisch passed away peacefully at Dougherty Hospice House on February 27, 2016. Margaret was born on December 26, 1932 to Edward and Elvira (DeBruyckere) Kerkhove at Ben Clare, SD. She is 83. She married Stephen (Tom) Hanisch on January 21, 1954. They lived on the family farm NE of Humboldt SD until 1984 when they moved to Sioux Falls SD. Tom passed away on March 25, 2006. Margaret was a member of St. Ann's Catholic Church and served on the Altar Society while living in Humboldt. She was also a member of St. Michael and St. Therese churches while living in Sioux Falls. Margaret is a woman of great faith and unending love for her family and friends. Even though Tom and Margaret had no children of their own, that did not mean they did not have love to share. Margaret shared her love in so many ways with her nieces and nephews whether through baking thousands of dozens of cookies through her life on the farm, to planning family picnics with her sister, or teaching a niece or two how to make beet jelly. Let's not forget the adults, Margaret LOVED playing cards and dropping a fishing line in the water. Family was important to her. She has touched four generations with love that can be compared to no other. She is survived by her brother Charles (Delores) Kerkhove of Menno, SD, her sister, Marie Soehl of Sioux Falls and many many nieces, nephews and friends. She is preceded in death by her beloved husband, Tom, her parents Edward and Elvira; brothers- Frank, Albert, Ernest, and Emil and sister, Emma Kerkvliet. Visitation will be Tuesday, 5 PM At Barnett-Lewis Funeral Home with a Scripture Vigil at 7 PM followed by the Rosary. Mass of Christian Burial will be Wednesday, 10:30 AM at St. Ann's Catholic Church in Humboldt.